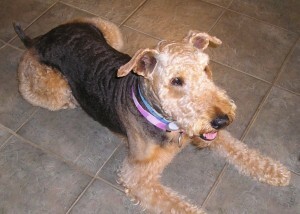 Winnie is a lovely, spayed, 8-year-old Airedale girl with a very impressive pedigree. 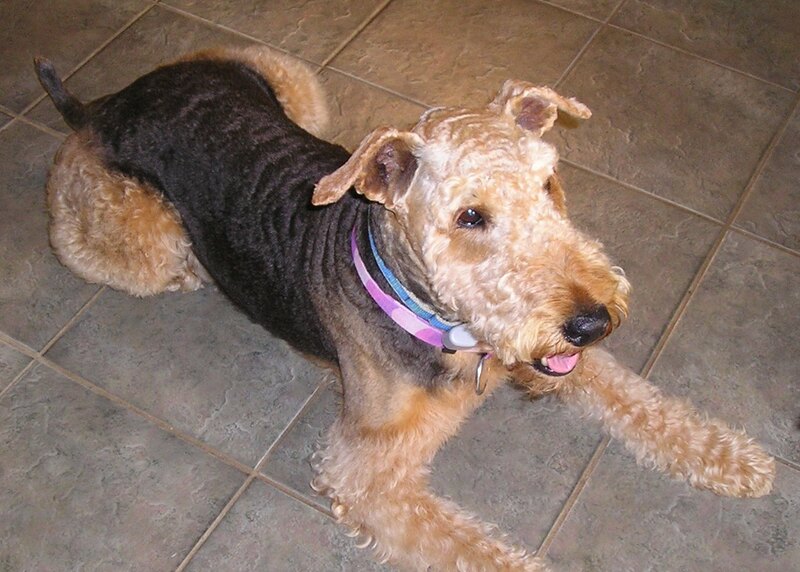 A friendly and affectionate Airedale but one who wants to meet you on her terms, Winnie gets along beautifully with children and presently lives with three young girls. See how nicely I am sitting? Winnie is well trained. She responds to hand signals and will sit, lie down and stay on command. Look how well I can go down! 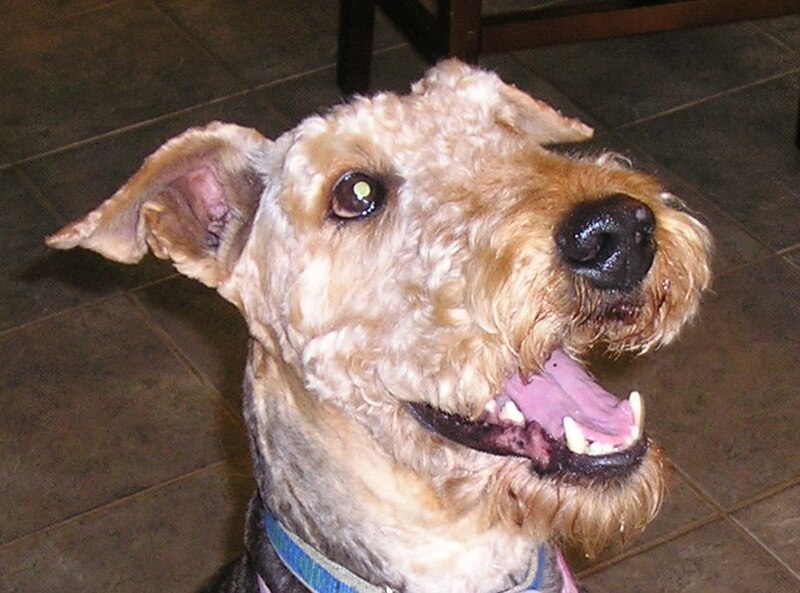 Winnie urgently needs a new home because her family is moving to another country. She would love to be your dog. Will you offer her a home? For additional information regarding Winnie, please contact Maureen Tate. What a beauty! She looks really cheerful! Does she have a goofy personality as well? I would love to find out more about her. We have a 3 children 4, 6 and 9. We do however live far away in BC? 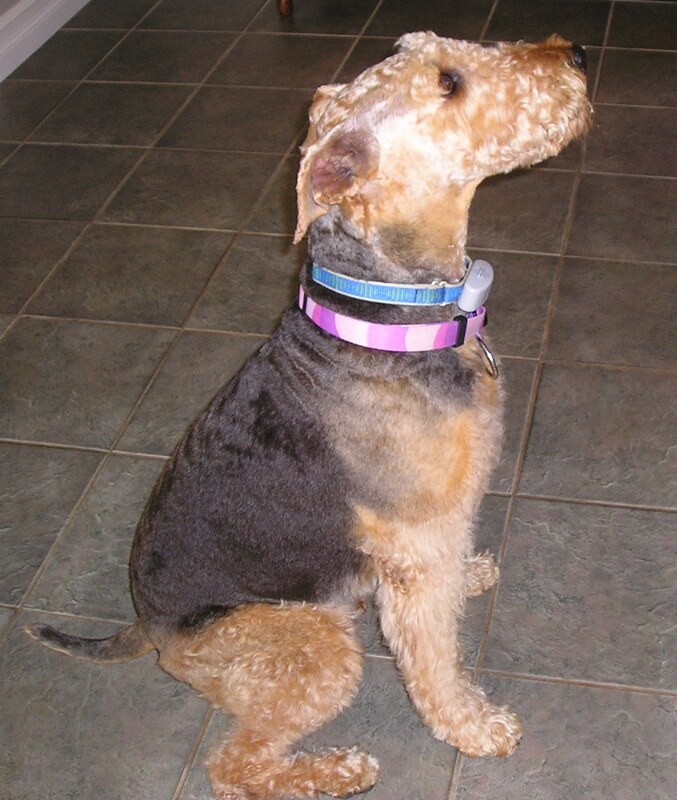 Two questions …would Winnie do ok with another female Airedale? What are the costs involved? Has she found a new home yet? Thank you for your interest but Winnie has a forever home now. Please fill out an application at http://www.airecanada.com/application.html so we have you on file for next time.